Founded in 1957, Canada Goose is a globally-recognized brand. Found anywhere from Hollywood films to Antarctic expeditions, the company is ubiquitous with warm winter gear. That strong brand has created worldwide demand, and the company currently exports to 38 countries worldwide including retail outlets in Beijing, Hong Kong, New York, and Tokyo. Canada Goose has a commitment to remain “Made in Canada”, keeping the production of all of its core items within the country. This commitment to the highest-quality fabrication standards means the business needs to operate in areas with access to a strong manufacturing culture, and one which helps them meet their growing worldwide demand. That strong industry has been found right here. 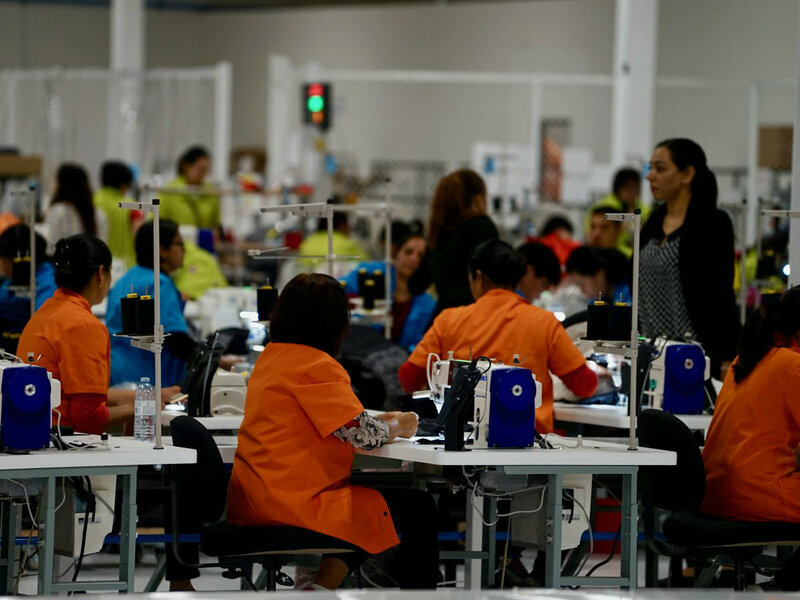 Today, Canada Goose has seven manufacturing facilities – three in Ontario, one in Quebec, and now three in Winnipeg. The relationship between Canada Goose and Winnipeg dates back to when their first facility opened in the city in 2013, when the first manufacturing centre opened in the city. The company has increased its presence here over time investing in new jobs and training opportunities. In fact, a training program run by Canada Goose has trained over 750 cut and sew workers in the city. This program, run in partnership with locally-based Opportunities for Employment, has helped workers gain the career skills they need to secure a cut and sew job, while increasing the available talent pool of clothing manufacturers in Winnipeg. The competitive talent pipeline is just one demonstration of the city’s advantage to manufacturing businesses. Strong collaboration between government partners in the city has allowed companies like Canada Goose to prosper here. Adding a third manufacturing plant will have a significant economic impact for Winnipeg. This announcement adds 700 local jobs to Canada Goose’s workforce, increasing their overall Winnipeg workforce to 1,700 employees. The impressive new facility, at 128,000 square feet, is the largest Canada Goose production facility anywhere in the world. YES! Winnipeg worked closely with Canada Goose in preparing the business case for their new facility. This assistance included the preparation of a detailed demographic analysis to help determine the best expansion location, and helping create the business case for increasing the company’s Winnipeg presence. When a national company is considering Winnipeg as an expansion site, the city needs to compete with other locations all across the country – YES! Winnipeg was able to demonstrate and quantify Winnipeg’s competitive advantages to help persuade Canada Goose to grow here. The recent announcement Canada Goose’s newest manufacturing centre continues to demonstrate the value of Winnipeg as a manufacturing hub, and a centre where private businesses see success and growth with their investments here.